It is likely one of the longest periods of foreshadowing in science. In 1869, Australian physician Thomas R. Ashworth first observed circulating tumor cells (CTCs) in one of his patients and suggested the treasure trove of information they might contain. “Cells identical with those of the cancer itself being seen in the blood may tend to throw some light upon the mode of origin of multiple tumours existing in the same person,” he surmised in his research paper “A case of cancer in which cells similar to those in the tumours were seen in the blood after death” published in the Australian Medical Journal. 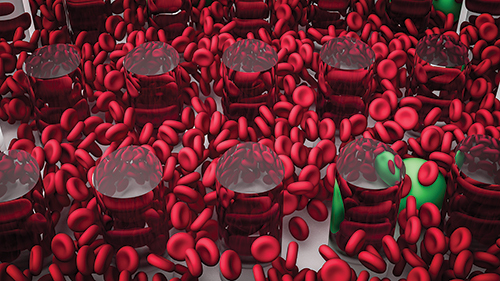 For more than a hundred years, the promise of using circulating tumor cells as a key to help unlock the secrets of cancer and, more importantly, metastatic cancer, remained a tantalizing possibility. It wasn’t until the 1990s that technology was finally created that could capture CTCs in the blood, and later, CellSearch became the first FDA-approved diagnostic device, which separated and enumerated CTCs to be used as a prognostics tool to predict survival of patients with prostate, colorectal, and breast cancers. Since then, novel methods for capturing CTCs, and the vastly improved technology for genomic sequencing of not only the DNA of CTCs, but also of circulating tumor DNA (ctDNA), have accelerated both the technological development of liquid biopsies and their adoption as a diagnostic tool in the clinic. This elevation from technology with promise, to one that is playing a vital role in the fast diagnosis of metastatic cancer has occurred with lightning speed. According to David Brunel, CEO of blood-based diagnostic company Biodesix, as recently as five years ago the tools for a liquid biopsy were not yet robust enough for prime time, and while intriguing, were also very costly. “At the time, we were just entering the heyday of targeted therapies, where the measurement of an actionable mutation would have a targeted drug. Since all that work was done in tissue, there was skepticism about liquid biopsy,” he said. The questions about the utility of liquid biopsy included whether enough relevant material was shed into the blood, and whether that amount was easy to detect and assay. Furthermore, tissue biopsy has long been the gold standard for testing, and is well understood. At the time the consensus was that “anybody who wants to do a liquid biopsy needs to prove it is at least going to be as good as what we are currently using,” Brunel noted. Today, amid significantly improved collection and analysis techniques, Helmy Eltoukhy, Ph.D., CEO of Guardant Health, says the adoption of liquid biopsy has followed the same adoption curve as other disruptive technologies, and agrees with Brunel’s assessment.